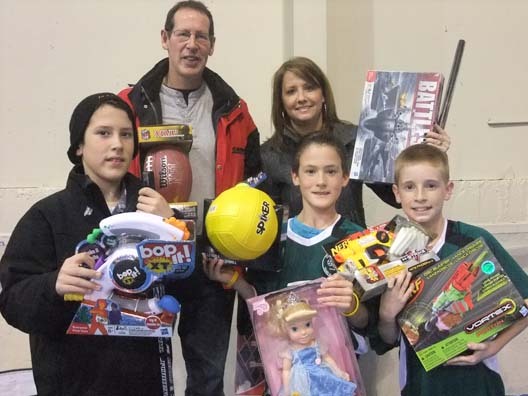 This toy donation came from a young man named Carter who had a Christmas idea of wanting to have a small Christmas party with his friends and instead of exchanging gifts he thought it would be a great idea to donate to kids who wouldn’t receive presents on Christmas Day. Included in the picture are Dina Beamish and Carter, Paul Splinter, Kurtis and Robert. Thank you Carter and friends for your generous heart.